A new tarot based on the divine feminine that utilizes the power of chakra healing and archetypal consciousness to restore vital life-source energy. 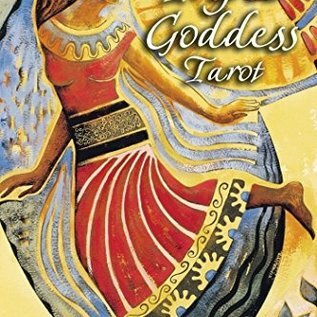 • Contains 22 major arcana, plus 4 new goddess images and 7 chakra cards. • Works with the "power of three" in a unique and sacred way. • By the author of the bestselling Inner Child Cards (more than 100,000 sold). This unique divination deck of 33 cards connects the mystical core of the tarot with the living force of the divine feminine through one of the most sacred graphics known to humanity, the holy trinity or triangle. The author has created 11 new cards to supplement the traditional 22 major arcana "soul cards" of the tarot. Four of these new cards serve as an overriding goddess trinity, while the other seven cards represent the seven chakra points in the body, creating a powerful alignment between the spiritual, physical, mental, and emotional energy fields in order to illuminate and revitalize life energy. 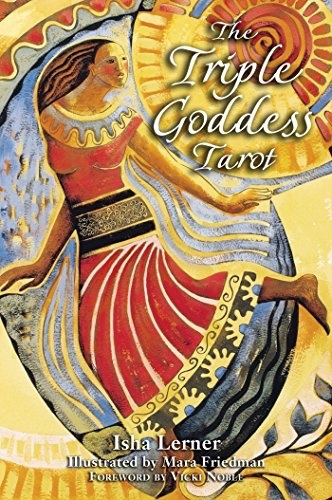 Through this unique combination, The Triple Goddess Tarot offers a system to individuals who are ready to engage with the healing power centers of the body, archetypal mysticism, the sacred feminine, and an awakened consciousness as a means to acquire greater health, empowerment, and purpose. The accompanying text provides suggestions for ways to engage with the divine feminine through ritual, prayer, archetypal attunement, and spiritual stewardship and initiation.